Our law firm defends individuals charged with the illegal possession of guns and firearms in Pennsylvania and New Jersey. These two states share borders but differ substantially in their treatment of illegal guns and firearms within their jurisdictions. In New Jersey it is illegal to even own a firearm without a firearm purchaser identification card or a permit to purchase a handgun. In Pennsylvania, a person may own a firearm without obtaining such an identification card provided that nothing in their background or criminal history prevents them from possessing a weapon (prior conviction). Both states require a purchaser to complete an application prior purchase and failing to disclose a prior conviction or making some other misrepresentation is a crime in and of itself. This article does not discuss permits to carry but please understand that New Jersey is a "may issue" jurisdiction as opposed to Pennsylvania which is a "shall issue" jurisdiction. 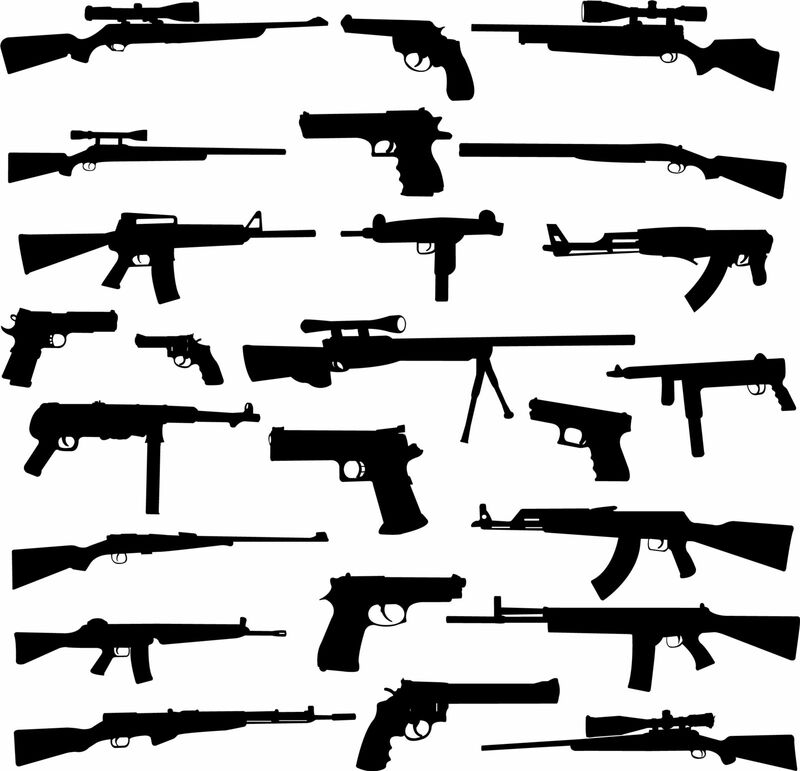 In New Jersey the unlawful possession of a weapon is defined under 2C: 39-5. This statute specifically explains the legal requirements for the possession of a handgun, rifle, shotgun, machine gun, and even assault rifles. It is important to understand that this section is directed at weapons possessed outside of the home or place of business. Keep in mind that under 2C: 39-6(e) a person is permitted to keep or carry a handgun, rifle, or shotgun within their place of business, residence, or the land owned or possessed. A person is also permitted under that same section to travel with the firearm between his place of business, to his home, or to and from a gun range or place of repair. This exception, however, does NOT apply to assault rifles under 2C: 39-5(f). If a person wants to possess an assault rifle within the Garden State, the individual MUST make an application for this possession with the Superior Court in that County. Our law firm defends cases in Camden, Gloucester, Burlington, Mercer, Cumberland, Cape May, and Essex counties. The unlawful possession of a firearm or weapon in the Garden State is a crime of the 2nd degree if the weapon is a handgun but a crime of the 3rd degree if it is a rifle or a shotgun. It is also a crime of the 2nd degree if the weapon is a machine gun or an assault rifle. A person convicted of unlawful possession under 2C: 39-5(a) machine guns, (b) handguns, (c) rifles and shotguns, or (f) assault rifles or a firearm is subject to a mandatory minimum 42 month prison term (Read my article on the Graves Act and waivers). This mandatory minimum state prison term also exists if a person is convicted under 2C: 39-4 which is possession of a firearm or weapon for unlawful purpose. This crime requires the state to prove beyond a reasonable doubt that a person not only possessed a firearm but possessed it with the purpose to use it unlawfully against a person or property of another; this is a crime of the 2nd degree. Further, this mandatory minimum exists if a person is convicted under 2C: 39-4.1(a) which is possession of a weapon while in the course of committing or attempting to commit a crime pertaining to the manufacturing, distribution, or possession with the intent to distribute (PWID) of a controlled, dangerous substance (CDS). This is also a crime of the 2nd degree! Remember that the purchase of a firearm in New Jersey requires, at the minimum, a firearms identification card or a permit to purchase handgun card and that the requirement for an assault rifle is even stricter.